The ability for a community to retain and attract businesses that offer quality jobs for residents is dependent on the pool of available talent. Investing in the next generation of our workforce is an efficient way to fuel the talent pipeline while helping our young people discover careers that best match their interests and abilities. Today's students need to be prepared for tomorrow's opportunities. A growing segment is for New Collar Workers. These jobs are somewhere in the middle of professional careers and trade work, meaning they combine technical skills with a knowledge base rooted in higher education. These are entirely new roles in areas such a cybersecurity, data science, and artificial intelligence — the server technicians, database managers, and other assorted IT roles.  Macomb County is actively engaged with many partners to develop and support initiatives that expose students to these types of career possibilities and point them to educational pathways that lead to meaningful employment. Macomb Intermediate School District (MISD) maintains Michigan’s most robust Career and Technical Education (CTE) program. Through a system of 21 public school districts, there are 36 high schools where students can pursue a wide range of interests, ranging from agriculture to transportation logistics. To learn more about which programs are offered and how to get involved as a business partner, visit the MISD. Early College of Macomb, offered to every high school junior in the county through Macomb Community College, is the state’s largest and most successful program. This three-year, career-focused initiative allows students to take college courses with no out-of-pocket costs for books, fees or tuition. Romeo Community Schools is Michigan’s first Ford Next Generation Learning Community. The newly established Academies at Romeo enable students to choose a thematic course of study – such as engineering, health care or information technology – and learn in a relevant, hands-on environment. Students learn math, science, English and social studies within the theme they choose. The Academies of Center Line is an innovative learning environment that puts students first. Featuring small learning communities, the program offers students exposure to a multitude of careers, industry skills and potential employers through classroom speakers, site visits, job shadowing and internships. Funneling through two pathways – either the Academy of Industry, Technology and Innovation or the Health and Human Services Academy, the strategic plan for the district is for all Center Line High School graduates to exit with an industry-recognized certification and/or college credit. Fraser Public Schools has joined with the SME Education Foundation and the Michigan Manufacturers Association to enhance educational opportunities for students. The newly launched program, the Partnership Response in Manufacturing Education or PRIME, actively engages and builds a collaborative network between students, educators and industry to grow and train the next generation workforce. Macomb County Department of Planning & Economic Development partners with the Macomb Intermediate School District, along with an active planning committee and generous sponsors, to coordinate one of the nation’s largest celebrations of Manufacturing Day (MFG Day). Since 2014, more than 6,500 students have visited a nearby plant to see the industry in action and learn about career possibilities. New host sites and sponsors for the October 5, 2018 date are welcome. Learn more here. As an extension of Manufacturing Day, the county will host a Careers in Manufacturing Expo on December 6, 2018 at Macomb Community College’s Sports and Expo Center in conjunction with AUTO Steam Days. This family-friendly event features hands-on exhibits, information about related college and training programs and an opportunity to meet with area employers to learn about their hiring and retention programs. New exhibitors and sponsors are welcome. Macomb Community College will host AUTO Steam Days, a two-day hands-on opportunity for students to explore careers in automotive design, robotics, manufacturing and technology from December 5-6, 2018 at the Sports & Expo Center. MiCareerQuest Southeast – Michigan Works! Offices from across the region are partnering to host an event for 10,000 students at the Novi Suburban Showplace on November 28, 2018. This event provides hands-on activities related to career exploration in four quadrants: construction, information technology, advanced manufacturing and health sciences. Involved employers will provide experiences and sponsorship. The Michigan Automotive & Defense Cyber Awareness Team (MADCAT) is partnering with academia, government, and both automotive and area U.S. Department of Defense assets to develop a career pathway for high school and college students in cybersecurity. Macomb County actively participates in MI Bright Future, a career exploration program that links high school students with employers who are willing to serve as career coaches. Offering a spectrum of students/professional interactions, career coaches get involved by responding to student posted questions, arranging site visits or providing job shadowing opportunities.